Light rails – worth the investment? Data shows that light rail projects, without the proper policy in place to facilitate growth, can have lackluster results. Five U.S. metro areas – Buffalo, N.Y., Portland, Ore., Sacramento, Calif., San Diego and San Jose, Calif., – established light rail systems back in the ’80s. Now, 30 years later, experts are asking if the investments were worth it. According to The Atlantic’s analysis of Census data, the five pilot cities have seen neither the economic rebirth of downtown nor increased public transit use these first-generation lines set out to achieve. The data shows that in four of the five original pilot cities, the share of regional employees choosing to ride transit to work has declined since the 80s. The cities' urbanized populations have declined as well. San Jose was the only exception, with a quarter of a percentage increase of workers using transit and a 6 percent increase in its urban population. But, the data isn’t as disappointing when compared to cities that didn’t build light rails during this period. According to The Atlantic, these five cities saw the urbanized population decline by an average of 6 percent by 2012, compared to an average of more than 10 percent for 45 other, similarly-sized cities. So does this mean cities should give up on light rails? No, says Yonah Freemark, creator of The Transport Politic, an online transportation policy news source. There are positive outcomes to be had from adding lightrail infrastructure, but these positive outcomes come only when coupled with transit-conducive policy. “… spending on new lines is not enough. 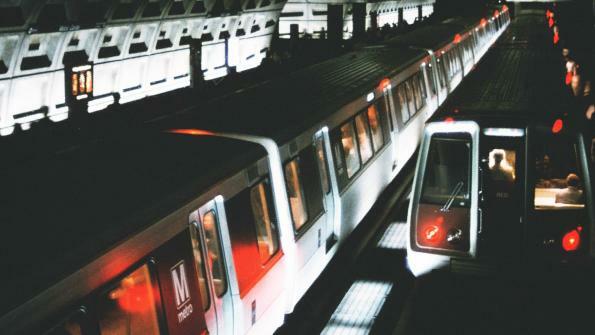 Increases in transit use are only possible when the low costs of driving and parking are addressed, and when government and private partners work together to develop more densely near transit stations,” Freemark writes in The Atlantic. None of the original pilot cities in the '80s understood this, he argues. Each of these five metro areas also built highways during this period, which competed with light rail traffic. Additionally, these five metros had no policy in place to keep urban sprawl in check, which detracted from their urban populations. “These conflicting policies had as much to do with light rail’s mediocre outcomes as the trains themselves – if not more,” Freemark writes. Today, light rails remain the most widely used mode of public transportation in American metro areas. Since the 80s, billions of dollars have been invested in 650 miles of new light rail lines in 16 regions, with 144 miles of additional lines presently under construction across the country. The Atlantic reports no region has invested in subway systems since 1993. And plans for many more rails are in the works. According to The Virginian-Pilot, one of the most recently planned expansions would extend The Tide, Hampton Roads, Va.’s light rail, to Virginia Beach’s Town Center. Minneapolis, too, has plans for a new 16-mile, $1.7 billion route, although officials are working out the particulars of the project’s urban construction, according to the Minneapolis Star Tribune.